Performing NFPA’s door safety inspections requires the individuals who perform this work to have a working knowledge of each type of door assembly they inspect, as well as the code requirements that affect them. 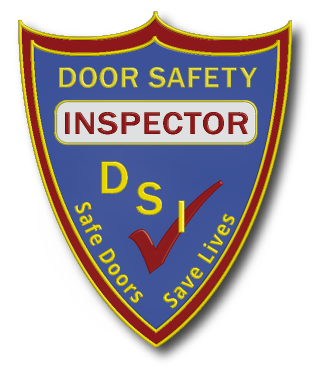 Door Safety Inspectors (DSI) meet and exceed NFPA’s Qualified Person standard (for NFPA 80 and NFPA 105) and NFPA 101’s Knowledgeable Person standard to perform safety inspections and testing of egress and fire door assemblies. DSIs have completed more than 30 hours of training, specific to Swinging Doors with Builders Hardware, which include online and in-person courses and classes. Acceptance Testing, inspection, and maintenance records and retention. Using inspection software and apps. Lookup and explain door-related requirements in NFPA 80, NFPA 101, and NFPA 105. Explain Door Usage Types and Categories and Door Maintenance Priority Levels. Recommend code-compliant repairs for fire-rated door assemblies. Perform door safety inspections of swinging egress and fire-rated door assemblies. Door Safety Inspector (DSI). DSI certification is open to all interested parties. Candidates can be in-house employees of a facility, employees of third-party service providers, or self-employed. No prior training is required. Individuals who are Fire Door Assembly Inspectors (FDAI) as certified by DHI, or participate in the Intertek Qualified Personnel (IQP) Certified Fire Door Inspector (CFDI) program can apply to take the class and proctored DSI certification exam without completing prerequisite courses. Individuals who have earned the Associated Locksmiths of America's (ALOA) Certified Fire Door Inspector (CFDI) or the International Fire Door Inspectors Association (IFDIA) Swinging Type Fire Door Inspector certification can apply to take the class and proctored DSI certification exam without completing prerequisite courses. Proof of eligibility (e.g., scanned or photocopies of current/valid certification credentials) IS REQUIRED. Individuals who are certified FDAIs or CFDIs qualify for a discounted registration fee, upon verification of eligibility. Email us for information regarding special pricing details: What’s My Discount? DSI candidates must achieve a minimum score of 80 percent on the proctored certification exam to earn the DSI certification. DSIs receive a wallet card and certificate as proof of their certification. DSI certification is valid for one year. DSIs are required to renew their certification annually through continuing education.